It has now been 12 1/2 weeks since Latvia elected a new Saeima on October 6th, and a new government has still not been confirmed. While Krišjānis Kariņš of Jaunā Vienotība seemed like a viable compromise candidate for much of the month, irreconcilable differences between the major parties have prevented a new government from being formed so far. 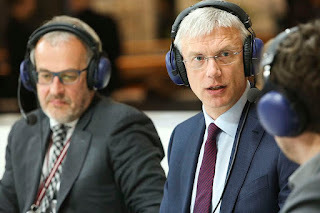 Although it seemed for a time that Kariņš had left the formation process altogether, he has still been identified by other parties as the likely leader of the next government. December was dominated by stories of major corruption-related arrests, many of which were related to a growing bribery scandal regarding bribery during the procurement of trams and trolleybusses by Rīga's transit authority from Polish and Slovakian firms. The fallout of the scandal led to the dismissal of the entire Rīga Satiksme board, the resignation of Vice-Mayor Andris Ameriks, multiple arrests including that of Rīga Satiksme head Leons Bremhens, and the suspension of EU funding for city transit projects. Despite President Raimonds Vējonis calling on Mayor Nils Ušakovs to resign, the mayor was able to survive a vote of no confidence. 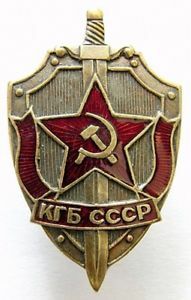 After decades of public discussion as to the wisdom of such a move, the Soviet-era KGB archives were finally published this month, revealing the names of people identified by the secret police as supposed collaborators including former Prime Minister Ivars Godmanis, current Supreme Court Justice Ivars Bickovics and deceased Roman Catholic Cardinal Julijans Vaivods. Historians have urged the public to use caution when looking through the archives, as the inclusion of a name is not necessarily conclusive proof of active KGB activity. The "Dod Pieci" ("give five") charity marathon hosted by Latvias Radio 5 DJ Toms Greviņš raised €120,046 over the course of the week before Christmas in order to fund free courses for new parents throughout the country. Latvijas televīzija head Ivars Belte was dismissed by the National Electronic Mass Media Council watchdog organization due to a perceived inefficient use of taxpayer funding over the past two years. The family of murdered former insolvency administrator Mārtiņš Bukus announced a €500,000 reward for information about the unsolved May 30th fatal shooting in broad daylight. Police opened an investigation into three men who allegedly displayed banned Nazi symbols at the 18th of November independence day parade in Rīga, an offense which can be punished with up to a €350 fine. The new Latvian National Encyclopedia was released on December 18th, the first of its kind since the reestablishment of Latvian independence from the Soviet Union. Latvia had fewer babies born in 2018 than in 2017, down about 7.5%. though emigration and immigration stayed about the same. Latvian conductor Andris Nelsons was nominated for two Grammy awards for the album Shostakovich: Symphonies Nos. 4 & 11, adding to his impressive resume of two Grammy awards won in 2016 and 2017. The Latvian ambassador to the U.S. Andris Teikmanis warned that Latvia's banking sector still needs improvement in terms of money laundering, warning that the nation could be put on Moneyval's "gray list" of countries which could cause significant economic and financial problems. 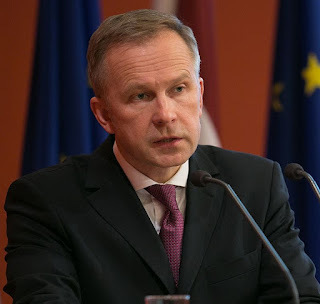 On December 14th, the Bank of Latvia revised its 2019 GDP growth forecast to 3.5% and predicted that growth would continue to exceed 3% for the next few years. According to a report by Swedbank, housing became more affordable in Rīga, Vilnius, and Tallinn in the third quarter of 2018 due to average wages increasing faster than the average price of apartments. Latvia's competition watchdog gave its approval for "Narvesen" owner Reitan Convenience to buy the "Caffeine Roasters" chain of 60 coffee shops in the Baltic states. The Finnish Oy Sisu Auto Ab firm won a €200 million contract to produce 4x4 armored vehicles for the Latvian Military to replace 20-year-old tactical vehicles currently used by the country. More than 10,000 signatures were collected on the "manabalss.lv" portal in opposition to a plan by a Swedish company to build 51 wind turbines on 19.5 hectares of land between Dobele and Tukums counties roughly 60 km west of Rīga, a €250 million project that could provide the country with 10% of its entire energy demand. 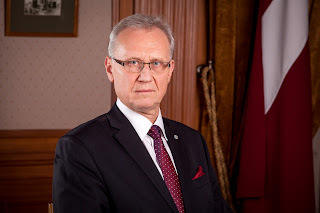 In a major blow to the prosecution, the European Court of Justice ruled on December 19th that Latvia had not provided conclusive proof of wrongdoing in the Bank of Latvia president Ilmārs Rimšēvičs bribery case, and therefore were improperly blocking Mr. Rimšēvičs from fulfilling his duties as president. BlueOrange Bank was issued a €1.25 million fine by the Financial and Capital Market Commission for violations of anti-money laundering laws throughout 2016 and 2017, far less than a possible fine of €3.69 million thanks to action taken by the bank to address shortcomings in these areas over the past year. Former Mayor of Daugavpils Rihards Eigims, who had lost a vote of no confidence on November 22, was arrested by Latvia's anti-corruption agency on December 18th over alleged bribery in procurement processes for construction projects in Latvia's second largest city. 93 drunk drivers were caught by police during the Christmas holiday period, up from just 56 in 2017 and 86 in 2018. 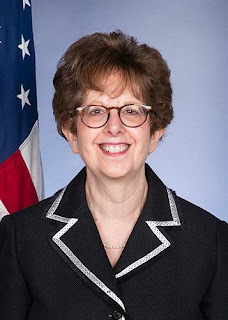 United States Ambassador to Latvia Nancy Pettit released a public statement regarding a need for Latvia to more seriously fight corruption on December 9th to coincide with International Anti-Corruption Day, a move that was considered unusual by observers as embassies in the other Baltic nations did not make similar statements. Gods Kalpot Rīga party member Oļegs Burovs, who has head of the Rīga City Council Property Department for most the time since 1998, was chosen as the new vice-mayor to replace fellow party member Andris Ameriks who resigned in wake of the Rīga Satiksme bribery scandal. Prime Ministers of all three Baltic states have expressed skepticism regarding plans for a possible "European Army," and have instead expressed a commitment to the NATO alliance which most European countries already participate in. A report broadcast by Latvijas televīzijas investigative journalism program "De Facto" closely linked former prime minister nominee Aldis Gobzems (KPV LV) with couple Marija Kovarska and Ruslan Pinaev, who were implicated in a major Russian banking fraud scandal. Gobzems has denied any wrongdoing. Farmers from Latvia, Lithuania, and Estonia protested in Brussels due to perceived unfairness in the amount of direct payments to Baltic farmers compared to the level of payments to farmers in other EU countries. 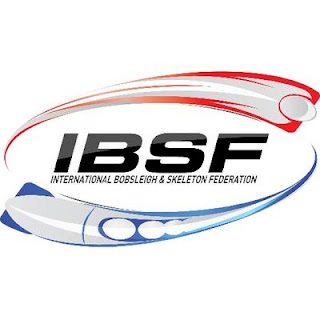 Latvian bobsleigh athletes Oskars Ķibermanis and Matīss Miknis placed second in two events on December 8th and 10th at the International Bobsleigh and Skeleton Federation World Cup which took place in Sigulda. 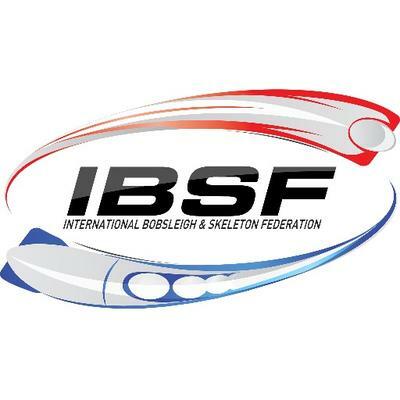 Latvia's fifth largest city of Jūrmala was chosen to host a Women's Tennis Association tournament from July 22-28, 2019, an event which will be organized by the "Russian ONE SGM" firm. The new "Hugo" online automatic translation service was released as a collaboration between the Latvian Ministry of Culture and the Tilde firm, the culmination of two years of work and €1.5 million which was 80% funded by the European Union. The Latvian Ministry of Finance and the CERT.lv technology watchdog warned about a fake email that was being circulated and made to look like a real email from the ministry but actually contained a virus that collected passwords from infected computers. Nato's Rīga-based Strategic Communications Center of Excellence released a report in collaboration with University of Oxford researchers that called for "algorithmic transparency" among the major social media companies in order to combat propaganda and fake news. Air Baltic announced more flights between the country's largest and third largest cities of Rīga and Liepāja for the 2019 year and also would resume flights between Rīga and Dublin which had been suspended for six years. Rīga City Council announced a possible plan to close K. Barona iela to car traffic in order to improve biking and pedestrian infrastructure in the city. That's all for now! Make sure to vote in the poll for the Latvia Weekly 2018 Person of the Year, and don't forget to press "subscribe" at the top of the page and like us on Facebook for daily news updates. Take care!